Ideal for organizations of any size that need retransfer printing technology to routinely issue secure and durable, high definition IDs or cards at high speeds, the FARGO® HDP6600 from HID Global is a cost-effective, eco-friendly and reliable solution that provides high resolution 600 dpi printing capability for superior text and image quality as well as wasteless lamination for an ultra-low cost-per-card. Designed to meet the needs of cost- and efficiency-conscious organizations, the HDP6600 produces cards at unprecedented speeds — and leveraging HID Global’s innovative wasteless lamination technology, the HDP6600 can help cut your high-volume lamination materials cost by up to 40%. The HDP6600 also features HID Global’s patent-pending iON™ technology, allowing the unit to reach optimal operating temperature in under 60 seconds, expediting the retransfer printing and lamination processes. Due to the built-in intelligent temperature control, it has been GreenCircle® Certified as significantly reducing energy consumption over comparable card printing and lamination systems. Built on six generations of proven retransfer technology, the HDP6600 offers the versatility to meet your card application needs today and in the future. 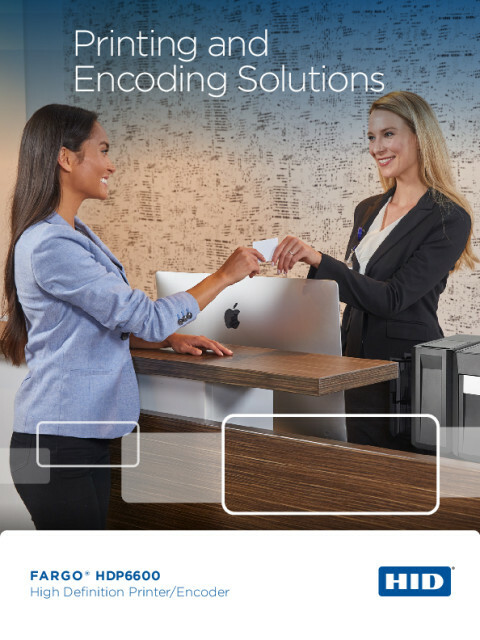 For one-step, inline printing and encoding, HID Global offers multiple, field-upgradable encoder options. 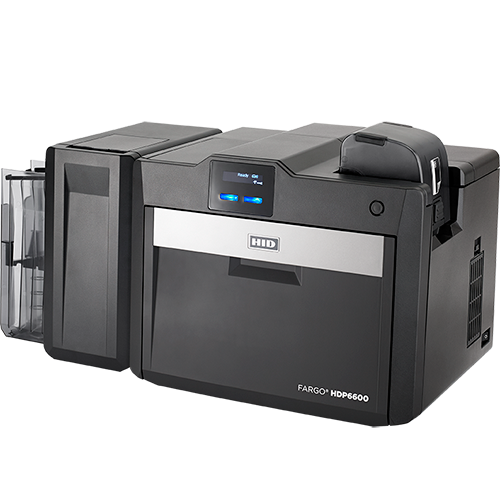 Fast, innovative, feature-rich and reliable, the HID FARGO HDP6600 sets the new customer demanded standard in retransfer printing. Provides organizations with a high-performance, energy-efficient photo ID printing solution that supports corporate sustainability initiatives while reducing costs. The sustainable attributes of HID card printers were third-party certified by GreenCircle Certified, LLC. The certification process verifies a significant energy savings for the HDP6600 card printer. Energy savings are calculated based on an assessment to a comparable product currently sold in the marketplace, with both products calibrated at their factory default settings. *Coming Soon: Please contact your local HID Sales Representative or local HID Integrator for additional information.